All photos and thoughts on this blog are mine, Sarah Davila, unless stated otherwise. Est. 2012. Powered by Blogger. 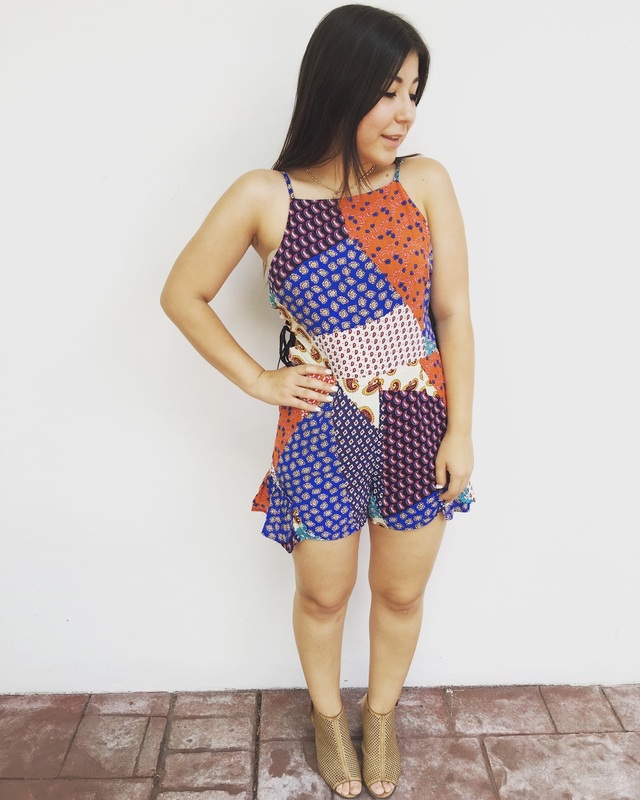 This romper is perfect for a day of shopping, Sunday brunch, or a day at the beach! I love the unique patterns it has, and how it is definitely an eye-catcher. Pair it with some cute wedges or some casual heels and this look is complete. 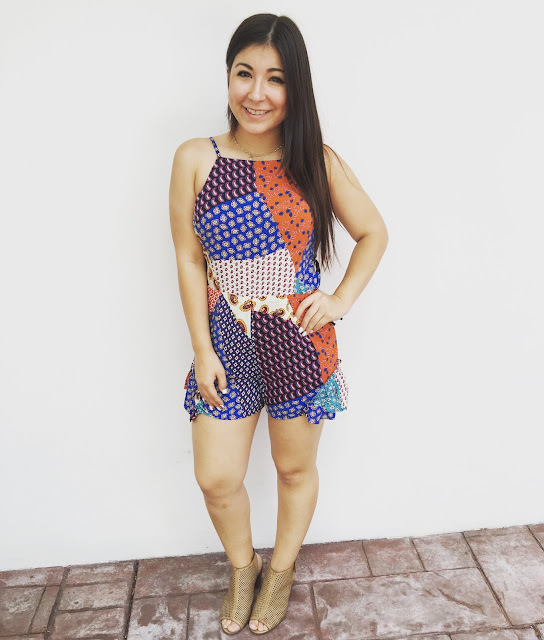 It's really comfortable and rompers are becoming so popular for the summer, they're perfect to throw on, and you don't have to worry about matching tops with bottoms. This romper is a great transition piece, it can easily be worn in the daytime with some sandals, wedges, a sun hat and some sunglasses! Or to switch it up to a nighttime look by adding heels, chunky jewelry and a clutch. I love when pieces can be versatile and can be worn more than one way, love getting the most out of my clothes. 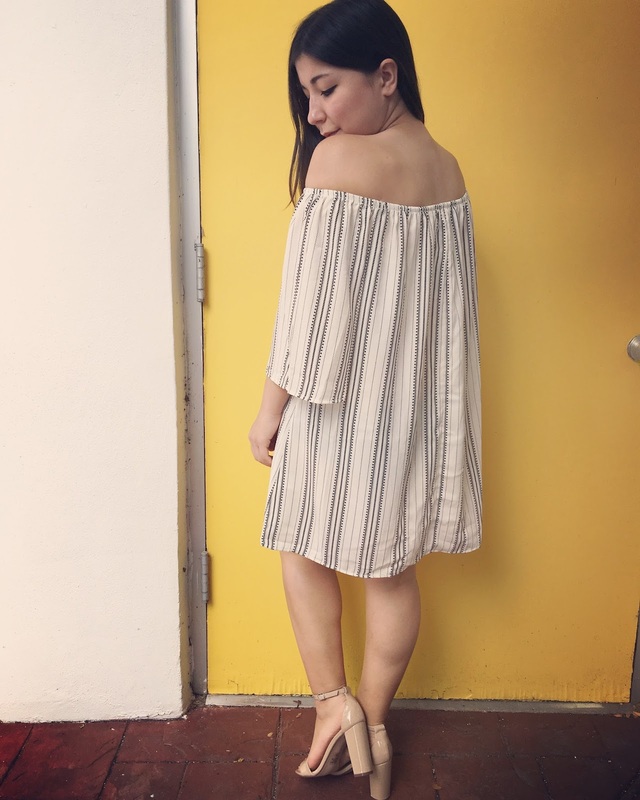 Three words: OFF THE SHOULDERS! The off the shoulder trend is booming everywhere, and so many designers are going with this trend for the summer. As for me, personally, I'm loving it so much, it's cute, flirty, and such a flattering look on any girl. 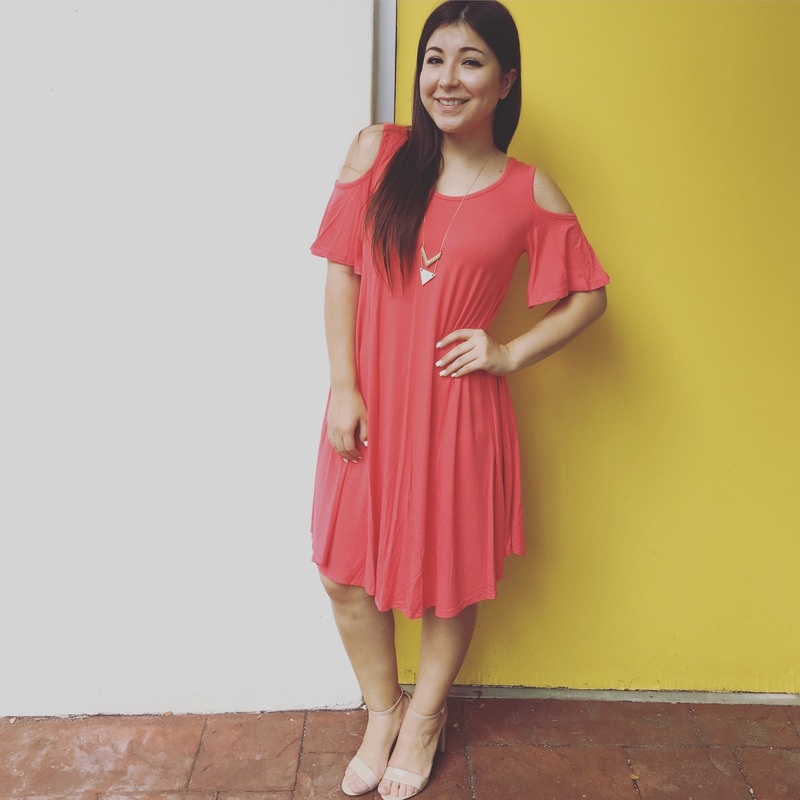 This dress is a great look for lunch with the girls, or can even be transitioned to date night with the boo. I'm definitely going to have to have this piece in my closet. 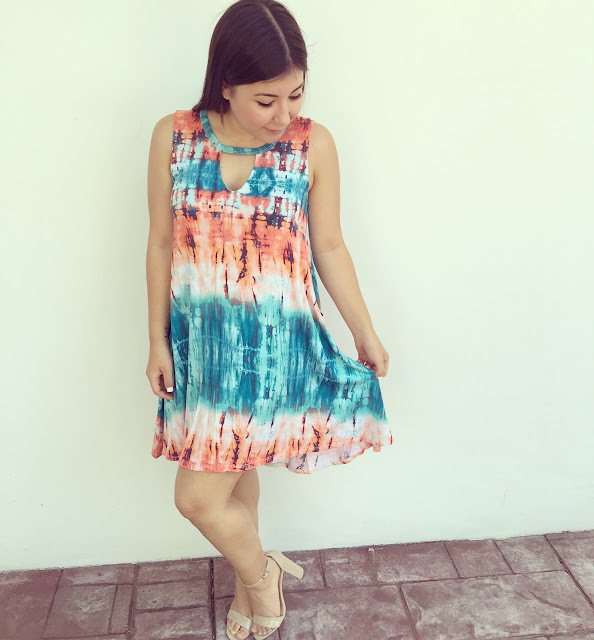 Tie-dye screams summer fun, it's always in, and always can be rocked any summer of any year (not just the 70s). 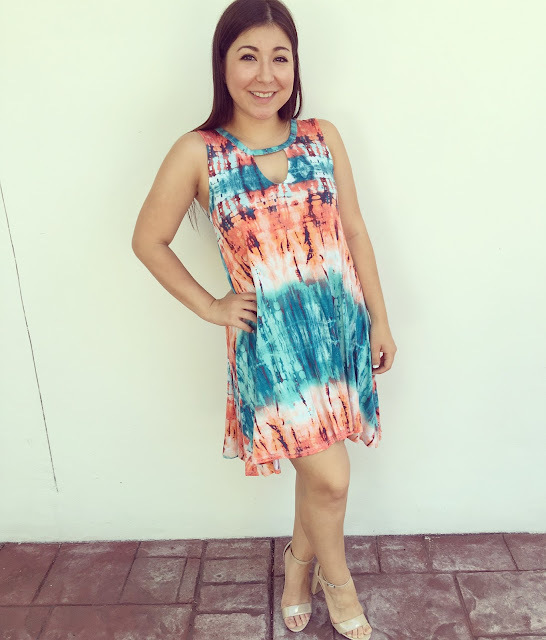 This dress is flowy fun, and the colors are perfect for an easy daytime look. Throw on a floppy straw hat and who's ready for margaritas by the beach! 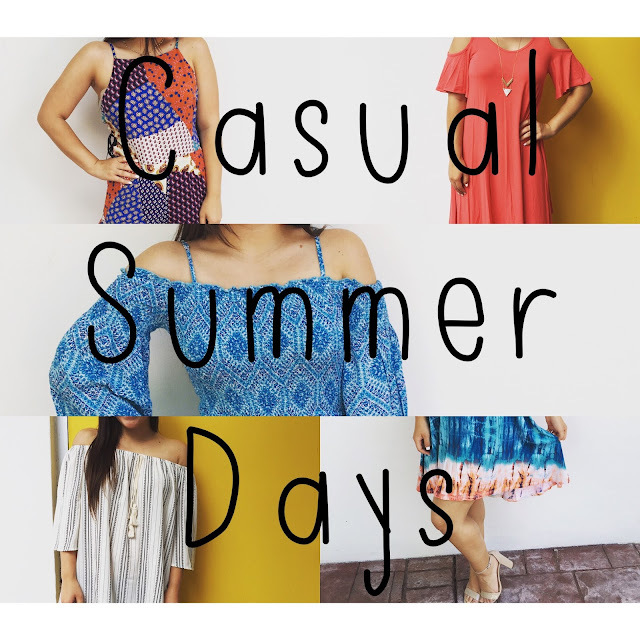 Summer is about bright styles, fun patterns, and sun kissed skin, these styles are perfect for all summer long, and can be worn anytime of the day. As long as the weather is warm, these outfits will definitely keep you cool for the summer. I'm Sarah, the one behind this little blog. I'm twenty-six, out of college, and am learning how to navigate in the world as an "adult". I post about fashion, life, the things I buy and what I do. Welcome to my page on the internet, and I do hope you enjoy!